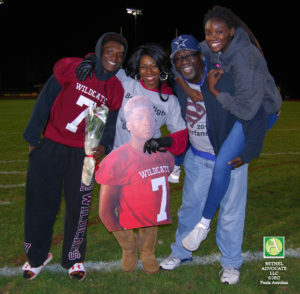 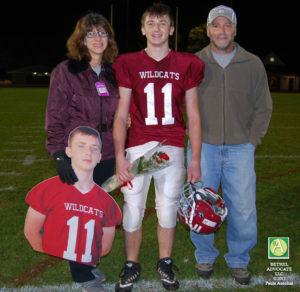 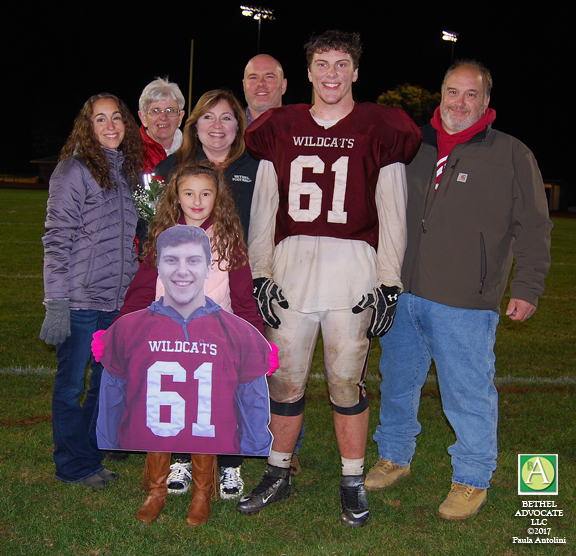 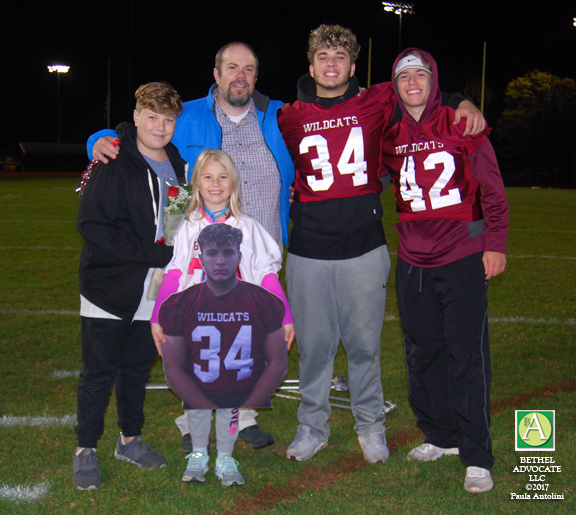 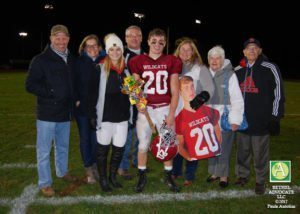 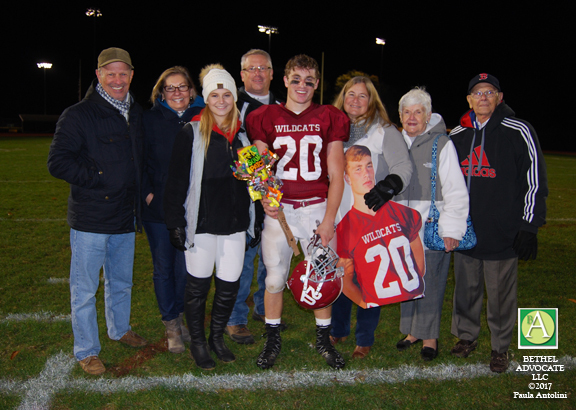 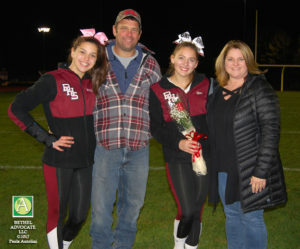 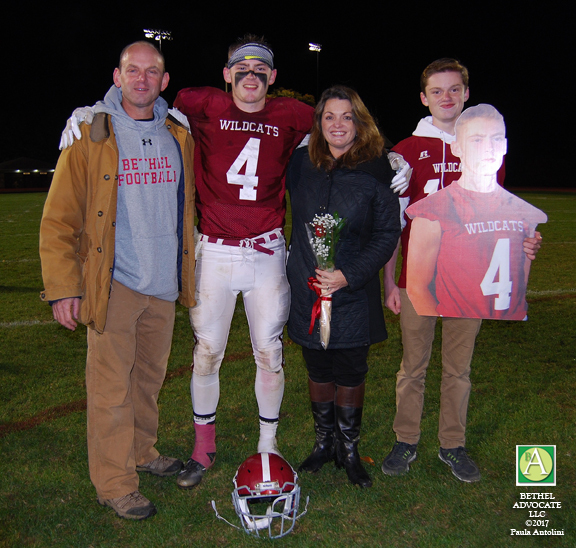 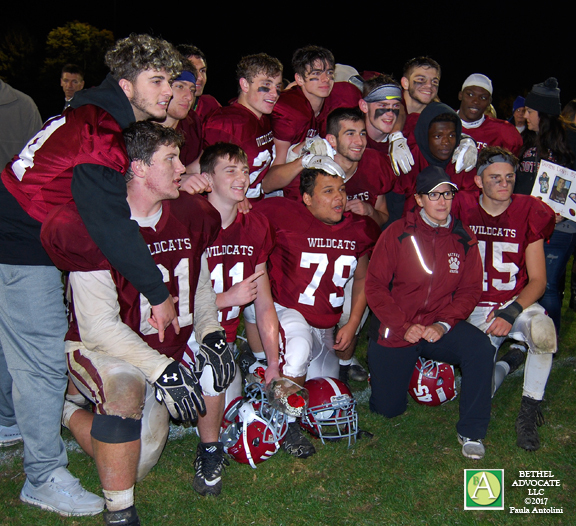 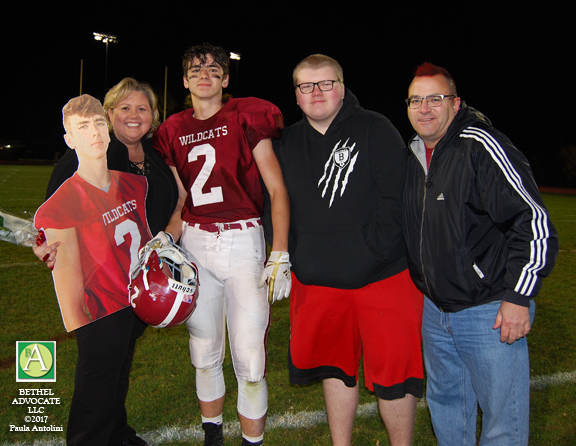 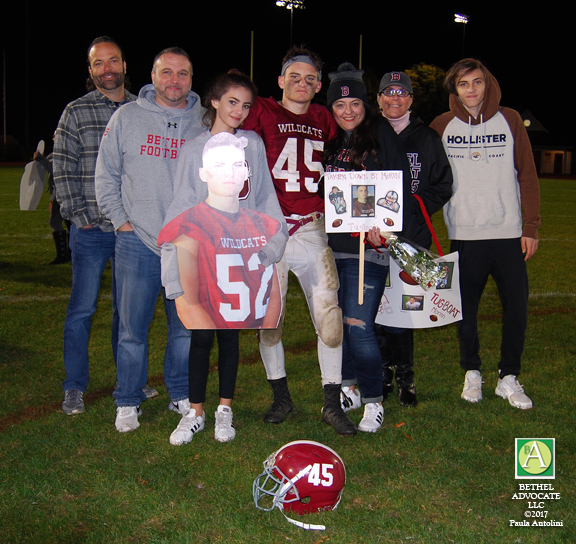 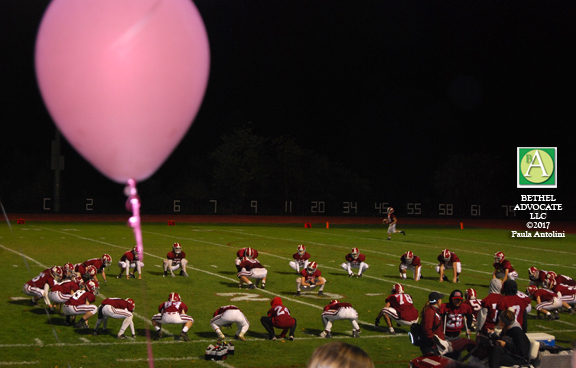 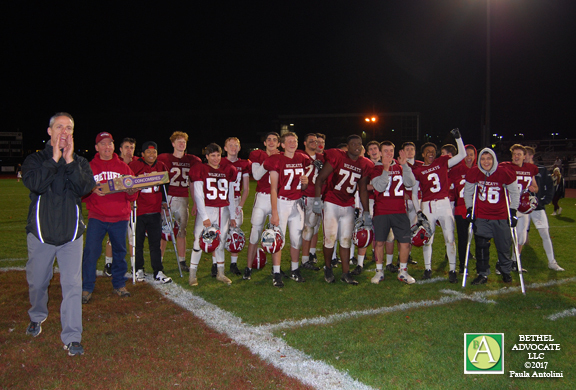 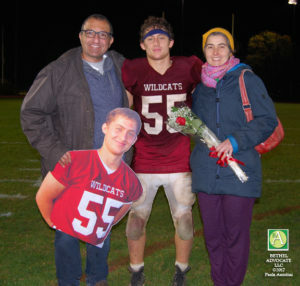 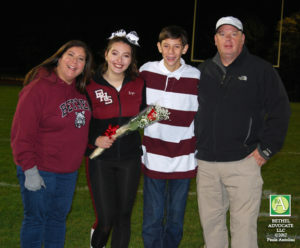 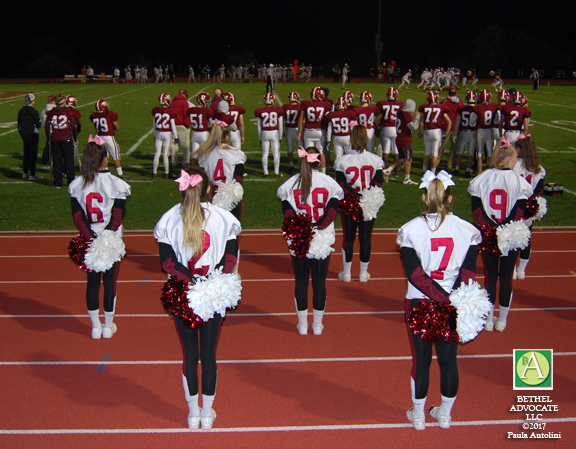 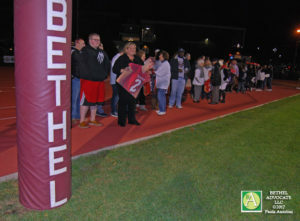 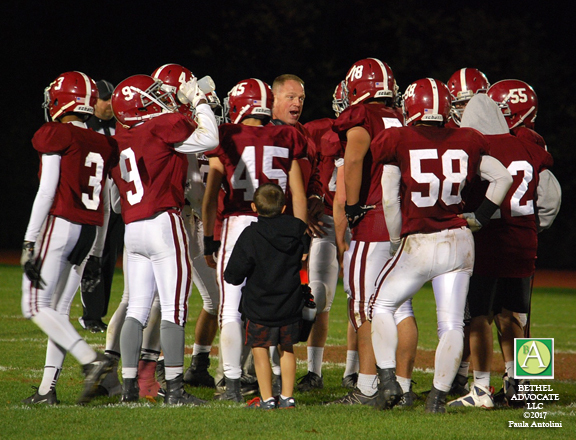 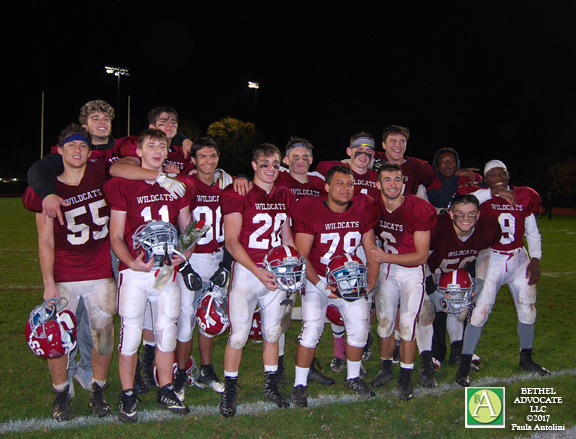 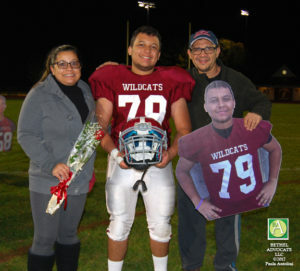 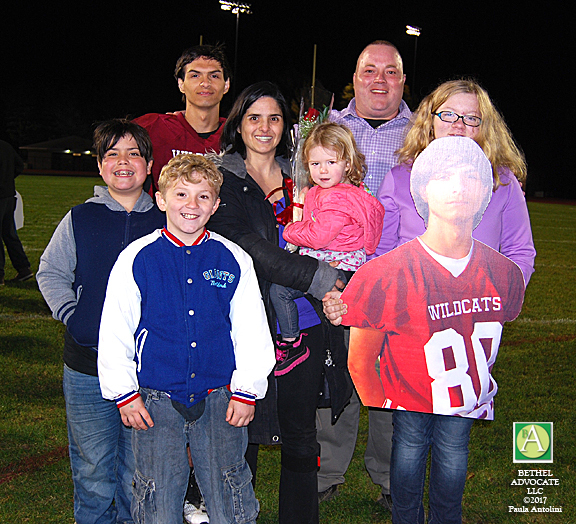 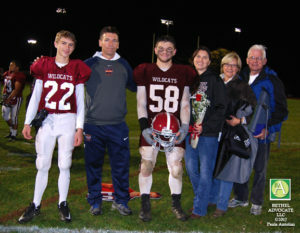 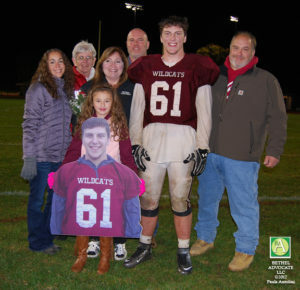 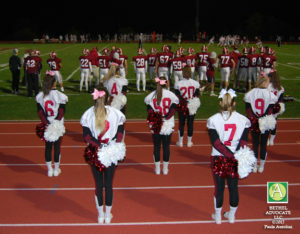 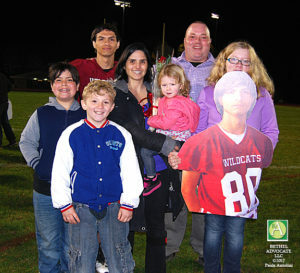 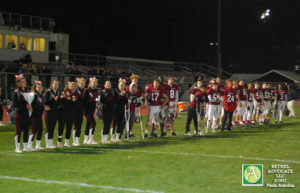 The stands were packed with cheering fans as the Bethel Wildcats won the Homecoming football game on Senior Night with a score of 26 to 21 against New Fairfield. 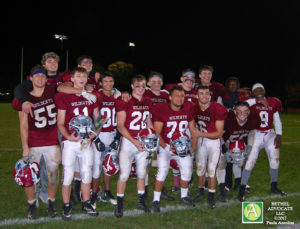 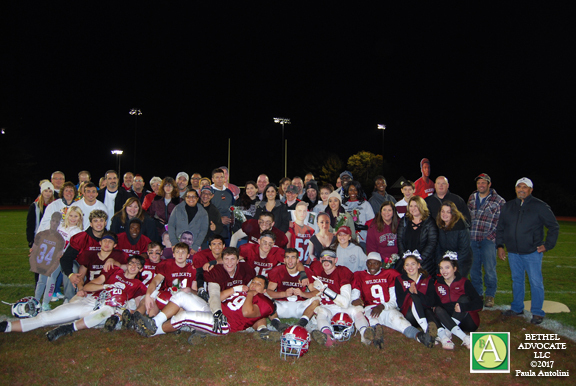 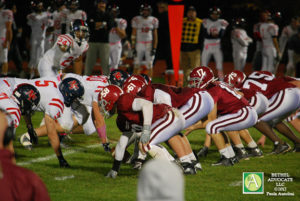 The game included a spectacular 57 yard touchdown by Vincent Gianonne. 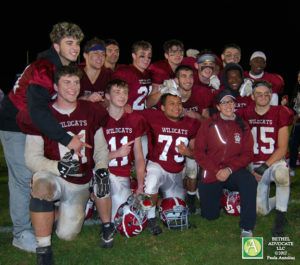 The Wildcats are now 2 – 5. 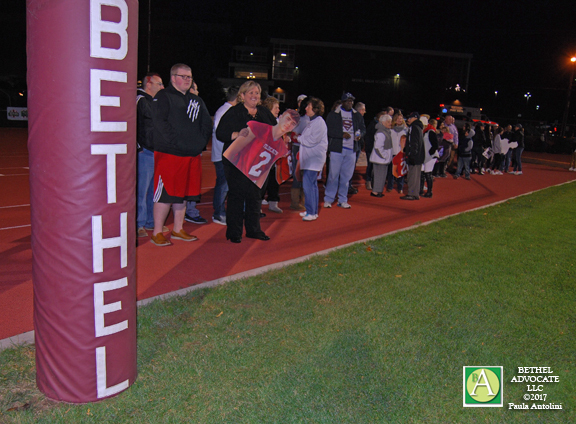 The Bethel Marching Band & Colorguard, the Bethel Dance Team and Bethel Cheerleaders performed in the halftime show. 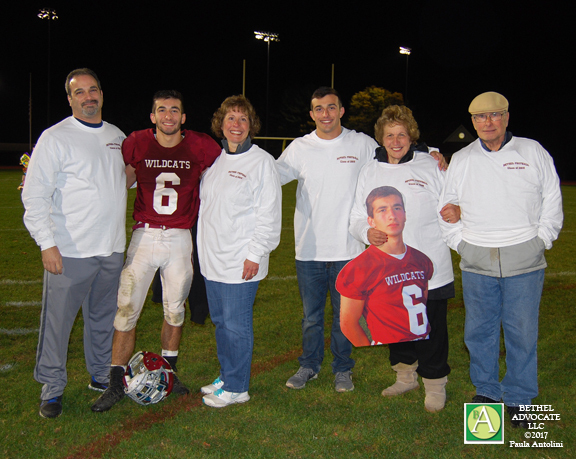 At the end of the game families of senior players were called to the center of the field for a final celebration and photo shoot.